The (NH models) are 3/4 inch barb X 3/4 inch Barb The difference is the horsepower. bracket is adjustable to 4 different discharge angles. 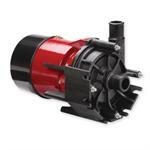 Available in 316SS fitted thermoplastic. bearing cap designed for high efficiency and long life. Highly efficient and ultra quiet spherical motor design. are within working limits of the motor. Whisper quiet, less than 40 db. Lightweight construction weighs less than 4lbs. 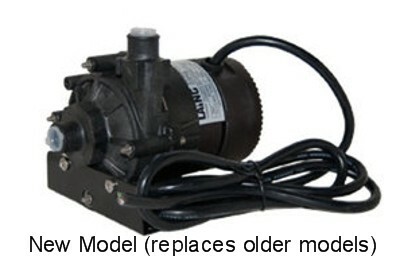 Laing Spa/ Hot tub circulation pump/motor can also be used for ponds, aquariums.